Get ready for the ultimate car rental experience! Choose adventure on your next trip with some of the most popular muscle cars in the world. 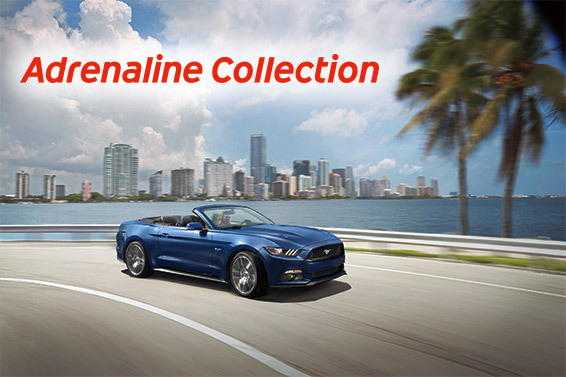 The Hertz Adrenaline Collection features 6 specialty performance cars. Reserve the exact car you want to rent at participating Hertz locations. This sleek Camaro, with 455 horsepower from its 6.2L V8 engine and your favorite music booming from its 9-speaker Bose® sound system, will put a smile on your face before you even leave our lot. The all new Camaro SS Convertible can raise and lower the top with the push of a button, going up to 30mph. Drive an automotive icon. With theCorvette Convertible ZO6 and Corvette Convertible Stingray, Hertz puts you behind the wheel of the definitive American roadster. Beneath the distinctive automotive design of the Corvette Stingray is a roaring 460-horsepower V8, connected to the 19” rear wheels through an eight-speed transmission with manual shift mode. Climb in and fire up your ticket to open-air motoring nirvana. Picture your vacation behind the wheel of a traditional rental car. 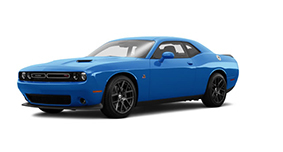 Then picture your vacation behind the wheel of this Dodge Challenger R/T, your hands wrapped around the three-spoke racing-style leather wheel, your ears honed in on the deep sound from the chrome tipped dual exhaust that is connected to the infamous HEMI® V8, pumping out 375 horsepower. Ahhhhh, much better now. If you haven’t driven a Mustang in a while or you’ve never driven one at all, you owe it to yourself to spend your vacation behind the wheel of the revamped 2016 Mustang 5.0 GT. With Ford’s famous 5.0L engine back in one of America’s favorite sports cars, the Mustang once again is a guaranteed head-turner in classic racing colors such as blue with white stripes or black with gold racing stripes. And with giant 19-inch polished aluminum wheels, the 435-horsepower GT provides enough acceleration to glue you to that racing bucket seat.